I bought this product last year December and thought it's only fair to review after I used it for at least a couple of times. 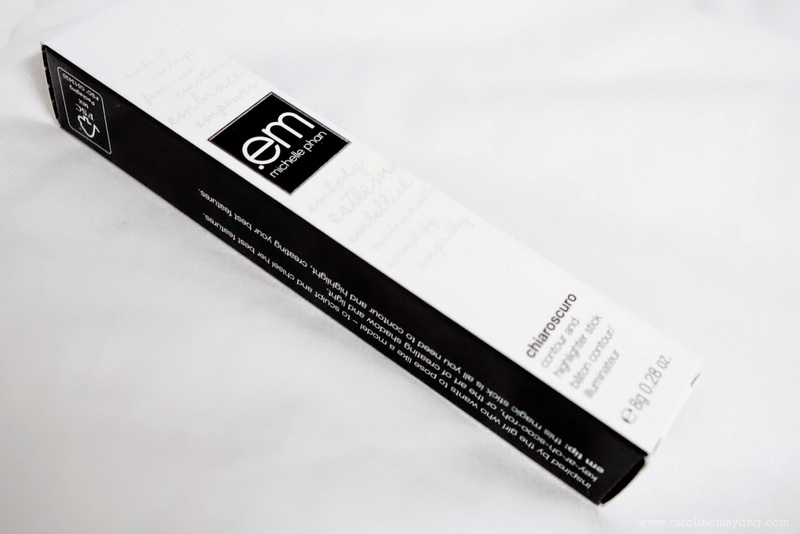 The Chiaruscuro (contour and highlighter stick) is one of the best seller items by em cosmetics by Michelle Phan. Trust me, it's really hard to get this product as it always out of stock! There are four different shades available for this product - fair tone, light tone, medium tone and deep tone. I was kinda afraid that it would be too dark for my skin tone, I chose fair tone for myself. 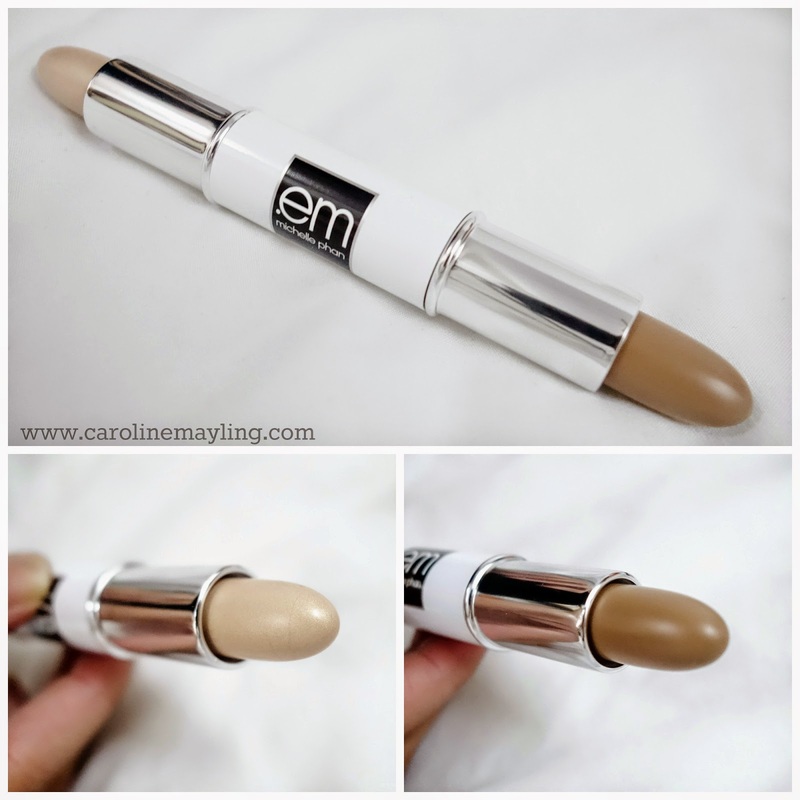 It has this interesting packaging where you can get the best of - contour and highlighter - both world in one stick. 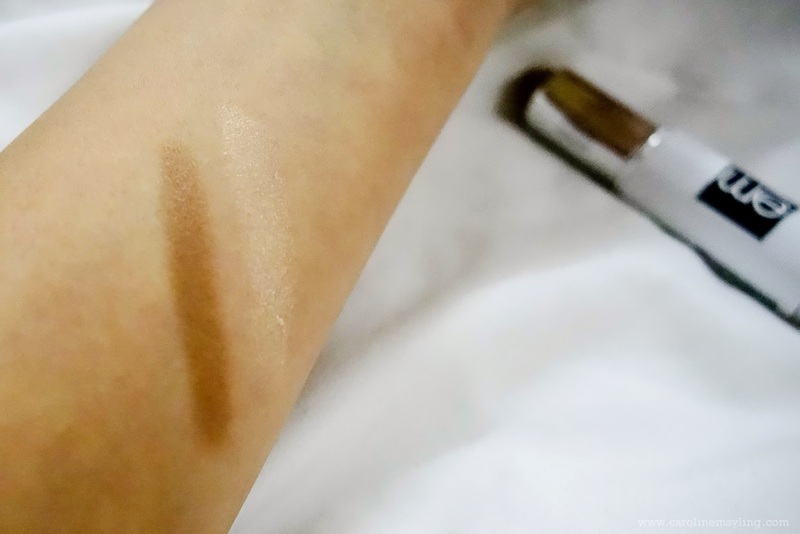 The highlighter contains slight shimmer within it and the contour is in matte. I thought this is quite brilliant and also means you do not need to pack extra product in your makeup bag. 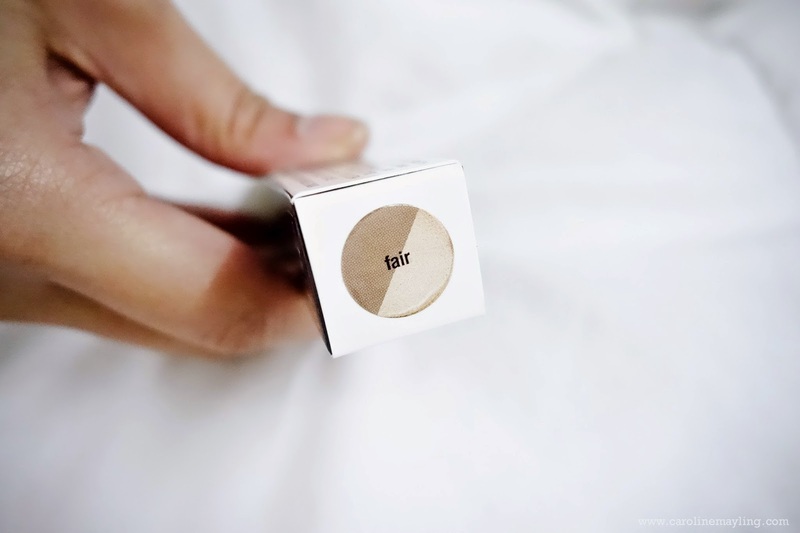 Due to it is in a stick-alike packaging, it also save up your makeup bag space too! It's really easy to use this product, all you need to do is twist to roll it up and down. Quick Tips: Always apply this product after you applied liquid/cream foundation on your face, then only set it with powder.